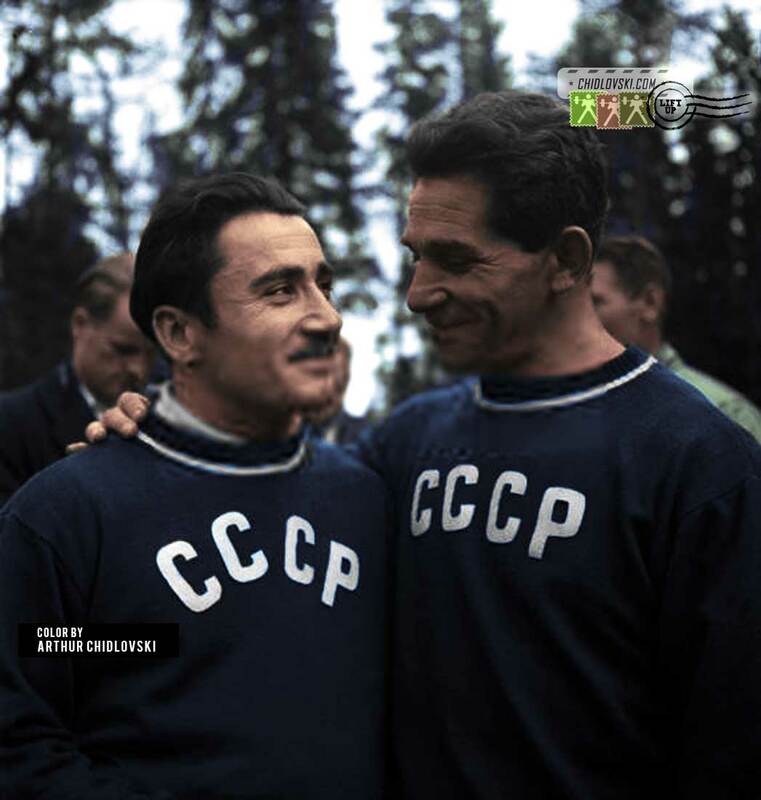 Featherweight Rafael Chimishkyan and, one of the Team CCCP coaches, Israel Mekhanic are waiting for the shuttle bus in the Olympic village in Helsinki in 1952. Chimishkyan just won a gold Olympic medal in the 60kg class. It was the first Summer Olympics for the Soviets and Rafael won one of the first medals for the country. Very seldom happiness and admiration like this can be seen between lifters and coaches nowadays. The world has changed. Maybe, I am wrong. It’s a priceless chemistry though captured on the photo.